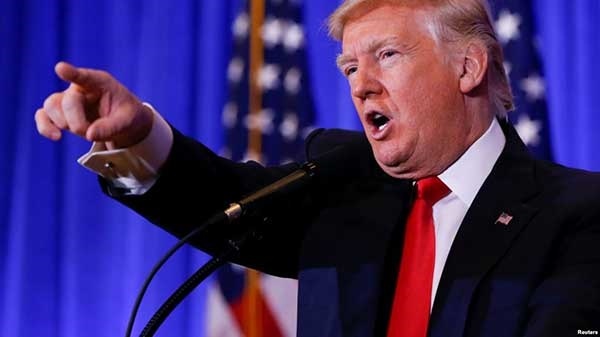 US President Donald Trump released an order banning most transgender troops from serving in the military except under "limited circumstances"
President Donald Trump released an order Friday banning most transgender troops from serving in the military except under "limited circumstances". This follows up on his calls last year to ban transgender individuals from serving. His push for the ban has been blocked by several legal challenges, and three federal courts have ruled against the ban. The Pentagon responded by allowing those serving to stay in the military, and began allowing transgender individuals to enlist beginning Jan. 1.